The 11th World Gourmet Festival at Four Seasons Hotel is a seven-day event, higlighting the works of renowned chefs from 7 different countries each day. Among all the events, I chose the Afternoon Tea which featured the creation of the famed Pastry Chef Gale Gand. Meeting the pastry chef whom I'd been looking forward to meet and indulging myself for the wonderful food were truly an unforgettable experience. 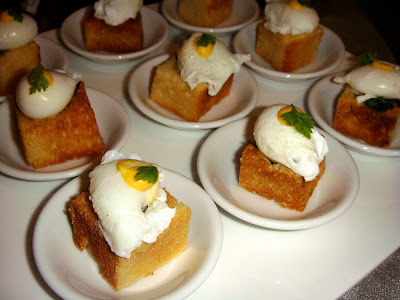 Water cress cream and poached quail egg on brioche. 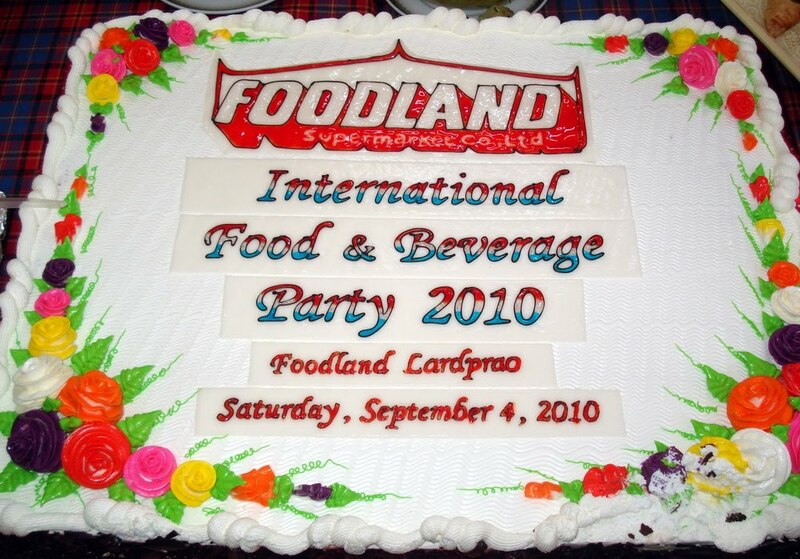 Last Saturday, I attended Foodland International Food and Beverage Festival. As I arrived I was surprised to see an attendance of people from all walks of life. I did my polite Thai greeting to the people at the entrance and proceeded. The first thing I noticed was the big cake at the end of the table. I took my camera out of my purse and SNAP!.